The Writing Vein: Spinach: The Culprit, Again? My health situation continues. No, I mean, it's better but the cause has been unknown. But now there is a root cause; it's not the whole story but it's the foundation on which the other factors built themselves. A few weeks ago my Kaiser MD told me that their blood specialist recommended that I stay on the medication for life, due to severity and family history; the family history which was unknown to me until my health incident last fall. But, being me, I didn't like that answer. I didn't (don't) want to be on this medication for life. So I consulted with my ND. Who referred me to another ND who is a cardiovascular pulmonary specialist, nationally and internationally recognized who, luckily for me, is local. I went to the specialty clinic. Did an intake. They wanted to do several blood tests and three of them were originally suggested through Kaiser. So tests were done (Kaiser agreed to do the DNA tests and one other; I still have to pay for them, but at least it goes toward my deductible). And slowly, over the past week, I've gotten the various results. Almost everything came back good/normal or negative. Except for one DNA genetic marker. Turns out I do have an inherited gene mutation. Great. And further news from the specialist ND, who has all of this research and experience in just this type of thing is that - tada - I do have to stay on this medication. This particular medication does specifically address this specific gene mutation. Sigh. Okay. Both my MDs and the NDs agree. I'm still working on acceptance, but I will get there. Meanwhile, I will be working with my regular ND and the specialist ND to support my body systems to minimize the negative effects of the medication and to address some of the other issues related to this condition which the western medication doesn't address. Which will probably alter the dose of the medication (in a good way in my opinion; the medication can still address the genetic mutation, the supplements can take care of other factors in this process). Okay - now onto the spinach. You know how people say that leafy greens are good for you? I'm not disagreeing that they are good for people. I totally support them. I like them. I eat them often. I really do - yum. But, first of all, another of my favorite greens is kale. Which, if you were reading me when this health incident happened last October-ish, you know that kale is on the list of things which interfere/influence this medication. Medical people used to say to avoid spinach and kale and those other nasty high vitamin K foods; now they say to eat them for their health benefits, but keep the amount steady so the dosage of the medication is stabilized. And, see, leading up to the health incident, I was eating a lot of kale salad. And drinking freshly made juices with, yes, kale. And spinach salads. And brussel sprouts. I still eat leafy greens every day, the darker the better. 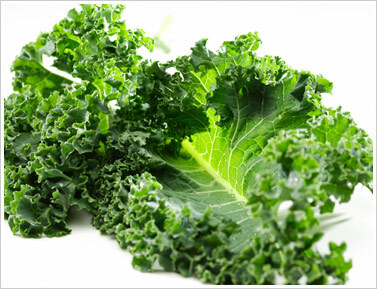 And have a baseline of leafy green intake so the medication doesn't fluctuate. There are other foods which affect it, so I have to keep a sense of how much garlic, green tea, red wine (any alcohol, really), tumeric, greens, etc. I consume. One of the blood tests the clinic did was to check my blood iron levels. My level is normal, but very low normal. And there is no reason for it to be that low. Really. So, they want to get it up to about double where it is now. But I eat a lot of spinach, I told the specialist. Come to find out, spinach has an ingredient in it which, in some people, can block the absorbtion of iron. And some people may need the animal protein bound iron for it to be absorbed. Which might coincide with my occasional craving and need for red meat (I go for the healthier elk or lean buffalo or grass-fed beef). Spinach = friend or foe? There's a story in here, I think. Characters to work with. Or something. Right now it's a big source of discussion and appointments and thinking for me. But, soon I hope, I can turn this new information and new experience into something in my writing. "The Case of the Rebel Spinach?" or "Learning to Bleed Well." Context: Is is really necessary?